If you are needing a cupcake idea for Easter these Carrot in the Garden Easter Cupcakes will be perfect. With Easter just a couple of weeks away I know many of you are looking for Easter dessert and treat ideas for the holiday. 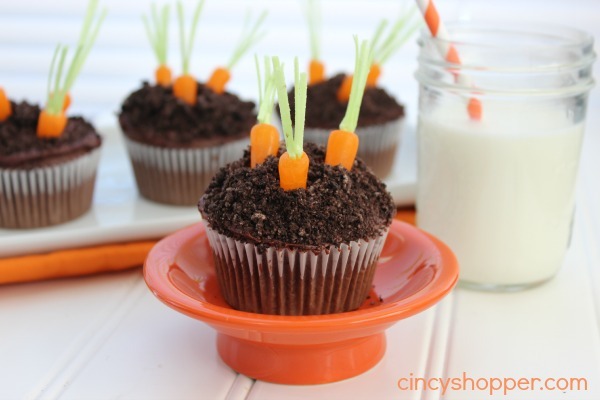 This week I decided to make these Carrot in the Garden cupcakes for the kiddos lunchboxes. I like to make snacks and treats while they are at school and then hide them to pack in their lunch boxes. It’s always fun to surprise them with something unique. 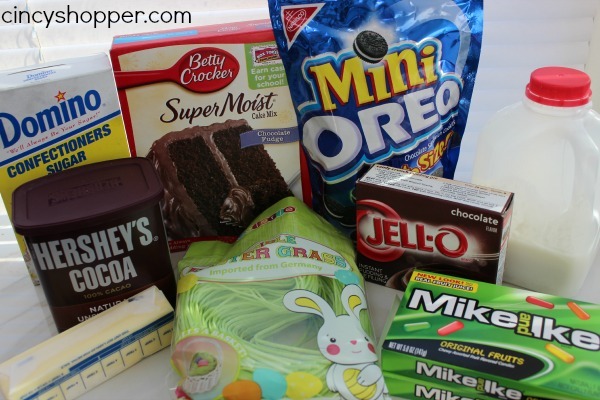 Cake mixes are always on sale and we usually have a coupon available to make for some cheap cake mixes. I find cake mixes very useful since I am packing 3-4 lunches per day. I am always needing a dessert to toss in. All of my kids love cupcakes so they have become my “go to” dessert. I like to doctor them up a bit since a plain cupcake can be tasty but not very fun, ha ha! Make cupcakes according to box directions. Place pudding in zippered bag and clip corner to pipe. Pipe pudding into the middle of each cupcake. Cream butter and cocoa together until smooth. 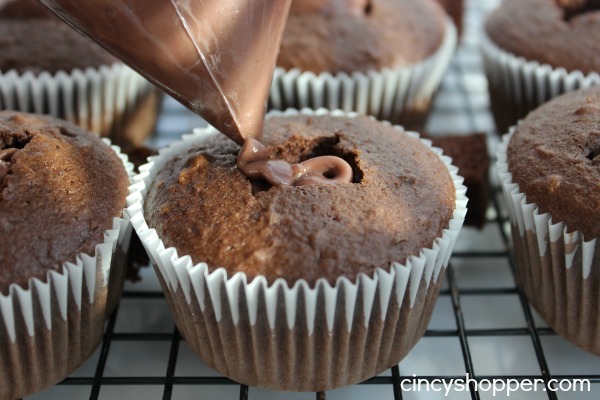 Add milk in slowly until frosting reaches right consistency. Dust frosting with crushed Oreos. Cut Easter grass into 1″ lengths (these are the greens at the end of the carrots). 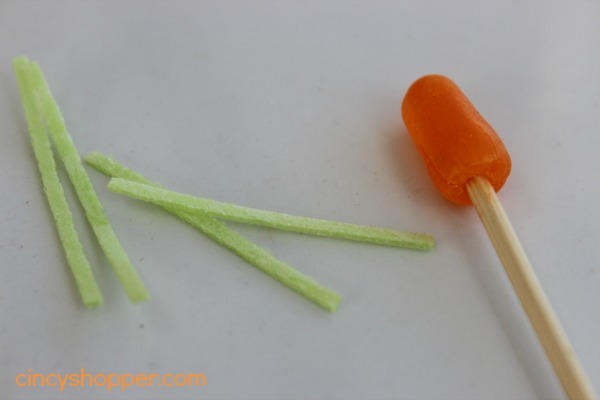 Take a toothpick or skewer and make a hole in the end of each piece of candy and insert some of the greens in each. 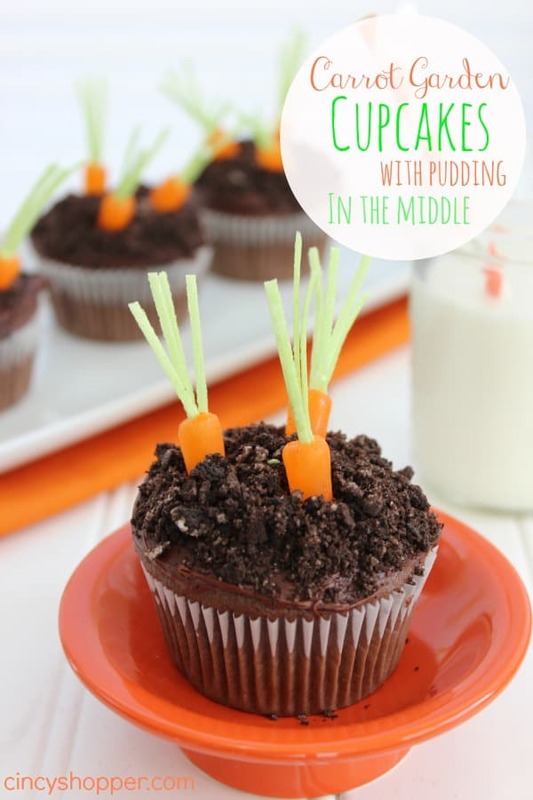 Stick several carrots down into the top of each cupcake. Are you following my Easter board on Pinterest? If not, start following. I have pinned some great Easter Ideas that may interest you when planning for your Easter Holiday. If you are looking for other great Easter Ideas be sure to check out the Easter Bunny Cake in a Jar, Carrot Cake Cupcakes with Cream Cheese Frosting, Easter/Spring Cake Cookies, PEEPS Cupcakes, Sheep Cupcakes, Homemade Butterfinger Eggs, PEEPS S’Mores, Easter Chick Deviled Eggs, Nutter Butter Chicks, Reese’s Peanut Butter Eggs Coconut Cream Eggs, Coconut Birds Nests Cupcakes, Easter Egg Cake Bites PEEPS Pudding Cups and the Chocolate Covered Peeps that I have shared this past few weeks. I will be sharing some great recipes and DIY Crafts for all of your Easter Holiday needs in the next couple of weeks. I see a batch of these cupcakes in my future. I love your carrots… I never would have thought to use a Mike and Ike- but they look great! Pinning and sharing all over the place. These cupcakes are adorable, Jen! They look pretty delicious, too. I’m visiting from Welcome Home Wednesday ~ so nice to meet you! These are the cutest! You’ve inspired me to make some! Thanks for sharing it on Funtastic Friday!